Post subject: SerialPort "Joseph Kelly"
HAPPY BIRTHDAY SERIALP0RT "JOSEPH KELLY"! HOPE YOU HAVE A GOOD ONE BUDDY. Last edited by Northern on 23 Dec 2017 22:58, edited 1 time in total. Post subject: Re: SerialPort "Joseph Kelly"
um excuse me, its serialp0rt <~~~~~~~notice that ZER0. lol thanks everyone. Happy Birthday! Now just don't die like you always seem to be doing lately. He was referring to how badly northern butchered his name. Happy Birthday a day late Serial! And Merry Christmas a day early! Прости! извините, товарищ я думаю что его день рождения будет завтра. Всё хорошо, лучше поздно чем никогда. Проходи, там напитки и закуски из морепродуктов. хаха. нам нужно... варенье, борщ, блины, мимоза салат, каша, хлеб с маслом и водку! очень русский! We are celebrating foreman p0rt's birthday with the komrades. Everything is ready for your arrival, food and drinks are on the table on the left. imok got a shopping list so there are more stuff coming up. I got excited that novac knows Russian and the idea about sharing Russian culture (admittedly I don't know much). The first image is Vinnie Pooh, who is much more existential and cute, however, loses to cheburashka for the latter, than the American version. 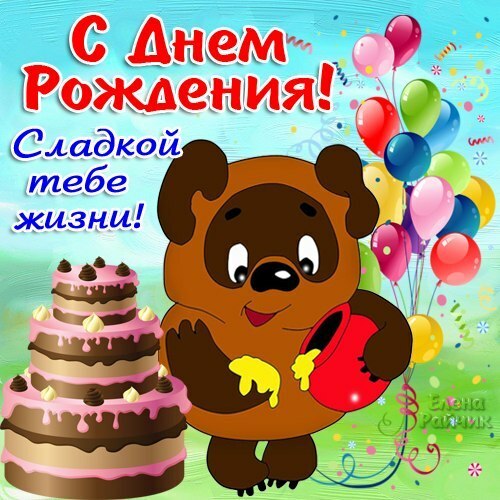 He is wishing you a happy birthday, but in Russian, this is sometimes referred to as your "jam day." Novac essentially calls me out for forgetting your birthday. I honestly thought it was the day before Christmas. He says it is no problem and that there is food/drink already set up. I interpret this as a soviet gathering, so I make a list for jam (goes great with Tvorog! ), borscht (beet soup), blini (basically a crepe with fruit or chocolate), mimosa salad (canned fish - smoked herring etc, eggs, mayonnaise, cheese, and maybe a few other things), oatmeal, bread/butter, and vodka. All of these things are very Russian/Soviet/EE! I made an edit that I have a lot of bourbon but not vodka. Anubis wants a snack. Everything else should be clear as English!